We love story. Honestly, if you’re here at the Rebel Storytellers page, it isn’t outside the realm of possibility that you agree with that sentence. Narrative is the most profound way of communication because it goes even deeper than mere information. Check out this video to find out more about who we are and what we’re up to in Cincinnati. Through Cincy Stories, we do bi-monthly storytelling events in Over the Rhine at MOTR Pub (1345 Main St), short documentary films telling personal stories, as well as written pieces sharing the stories of folks who call Cincinnati home. We believe that through stories we will be able to better understand one another, letting go of the “Us or Them” mentality that we’re all too often drawn to. If you’re from Cincinnati, we want you to join this conversation. We want to hear your story. 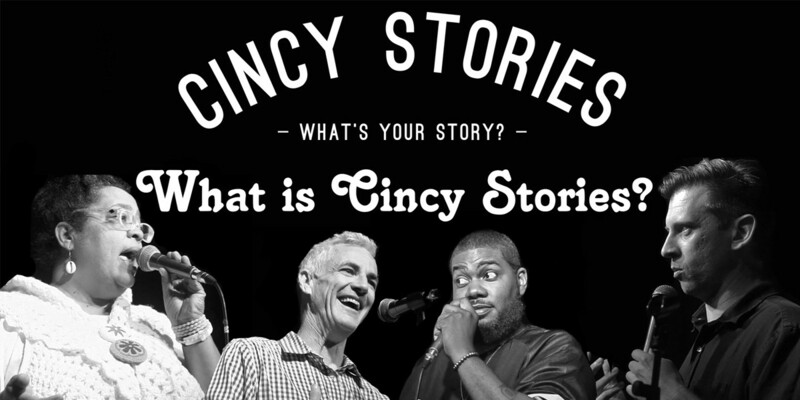 If you have a compelling and personal story from your life that you’d love to tell, send us an email at cincystories513@gmail.com and we’d love to feature you through one of our avenues of storytelling. Join the story by hanging out with us at our upcoming Cincy Stories on July 7th at MOTR Pub at 7PM! Building community through narrative. That is Cincy Stories mission. Stories allow for walls to come down and empathy and understanding to be built in their place. Stories are the key to relationships and relationships are the key to community. With personal story, Cincy Stories hopes to build a deep community of listening, understanding and empathy. Whether through our live, bi-monthly storytelling events, short documentary stories or written stories, we know that stories do sacred things and simply want to take part in the hearing and telling of our collective stories.